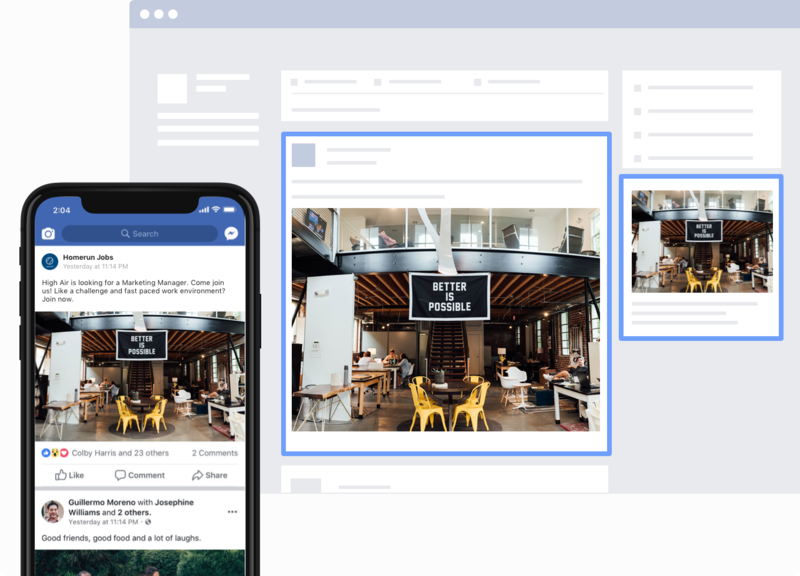 Increase your reach with social ad campaigns. Raise awareness for your job posts outside your network. 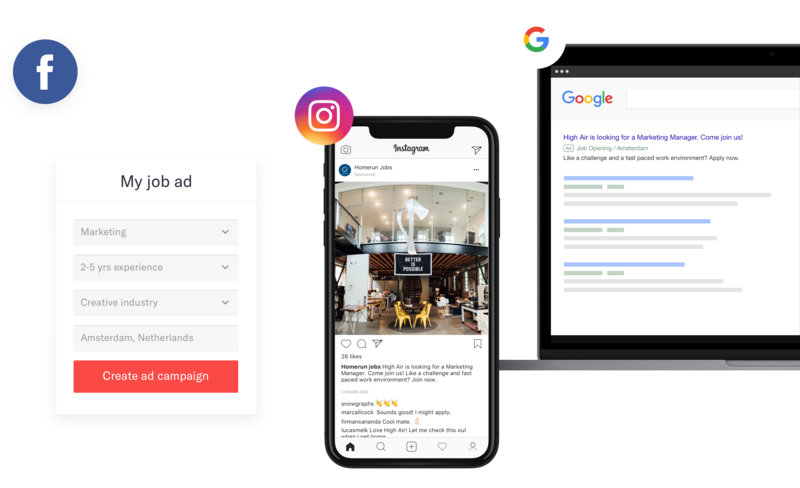 Our fully automated social ad campaign technology enables you to promote your job post on the social media and websites your target audience loves to use. 70% of the workforce isn't actively searching for a job, but open to a new one. Show your job posts to passive talent on the channels they love to use. 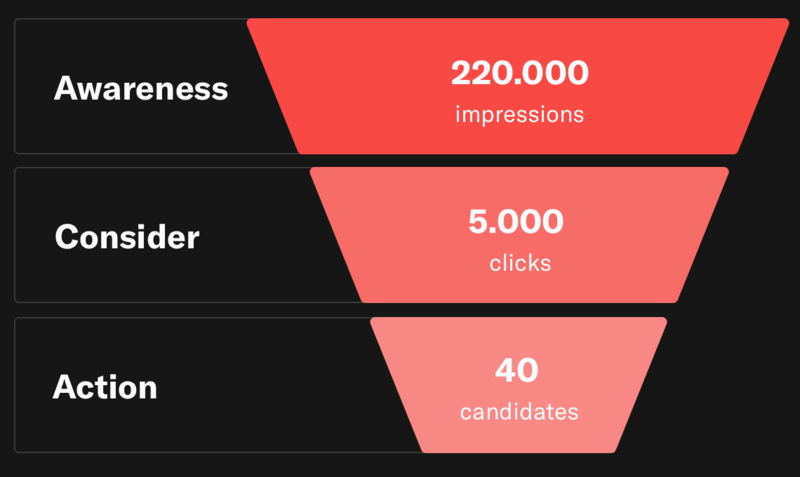 By raising awareness for your job posts, you also promote your Employer Brand. 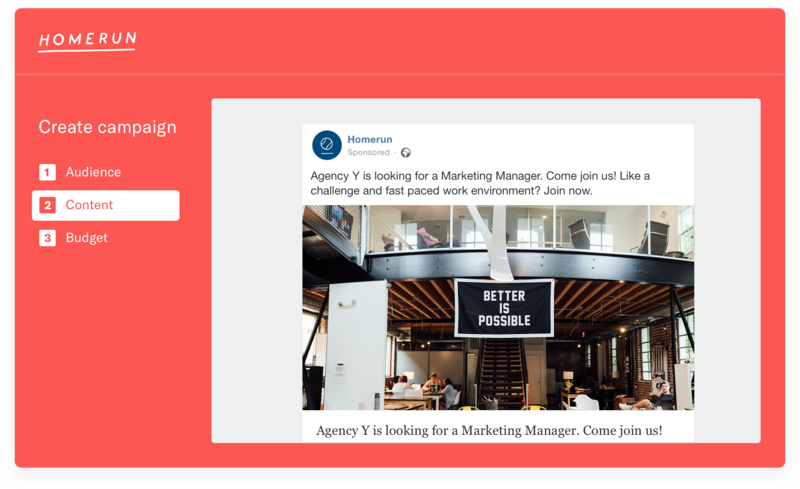 Social ad campaigns are powered by Wonderkind, a programmatic job advertising platform fully integrated into Homerun. 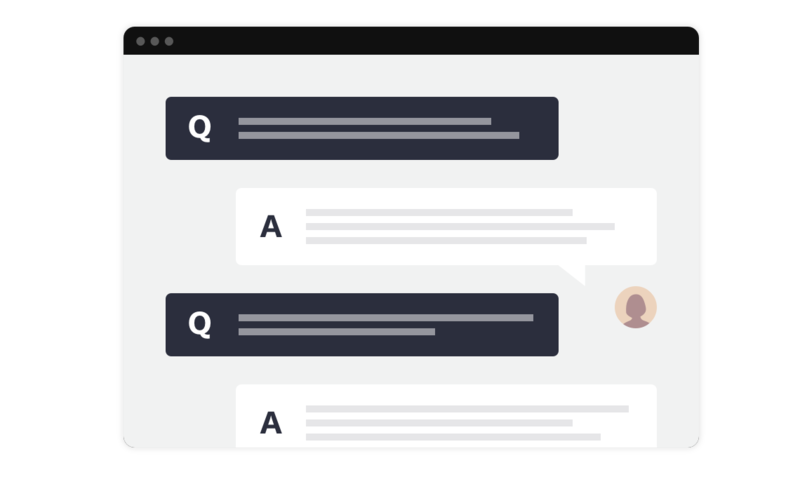 Wonderkind’s self-learning technology is able to hyper target talent with your job post in the most cost-efficient way. 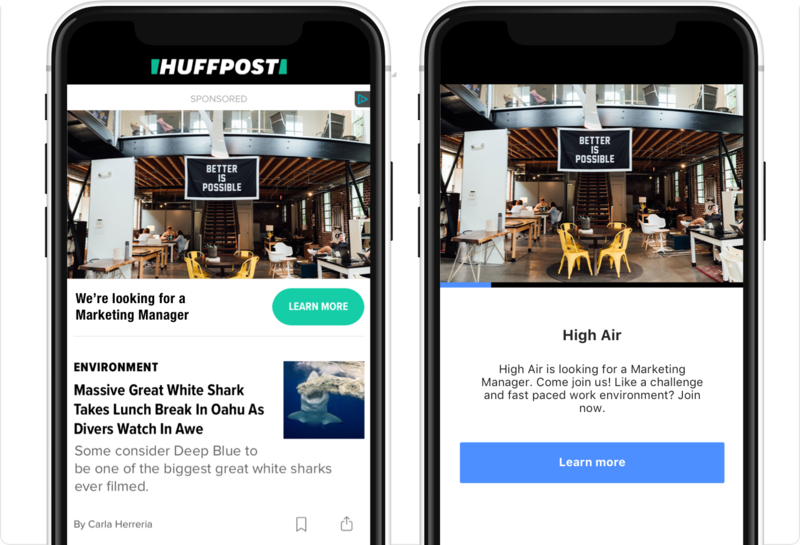 Their algorithm allows you to show your job posts within your target audience’s online routine. 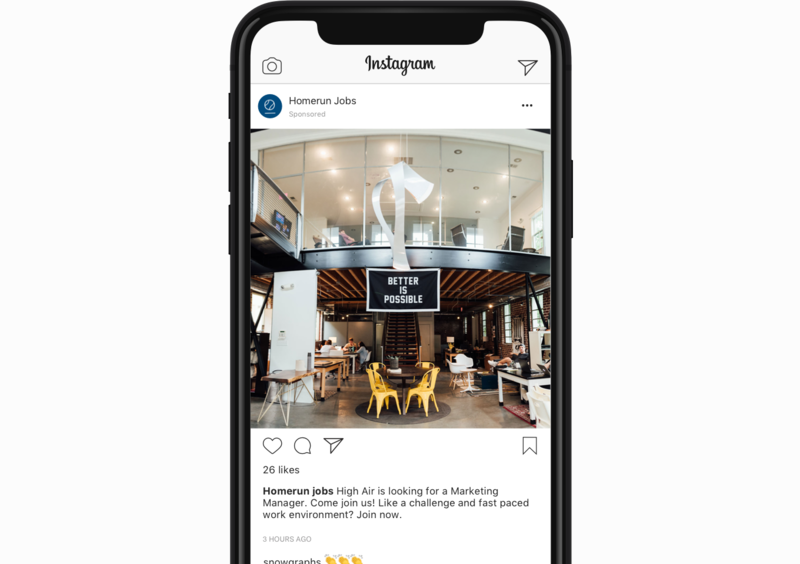 Your campaign will first reach passive talent, retarget them wherever they go online and encourages them to interact with your job post and employer brand. Each campaign is created, distributed and optimised using automated A/B-testing. Budget is moved between media channels based on real time measured performance. 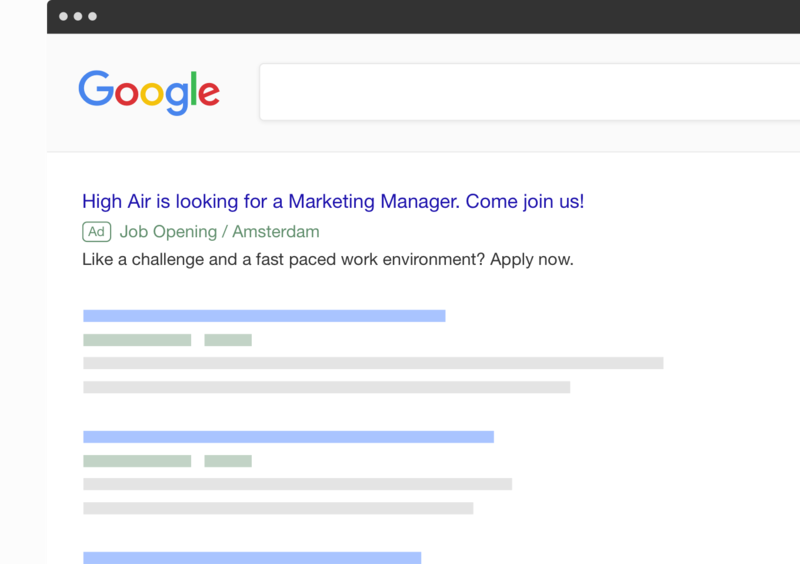 Job ad campaigns on social media, apps and websites. A social ad campaign is a series of online advertisements that your audience will encounter as a sponsored post on social media, and apps. 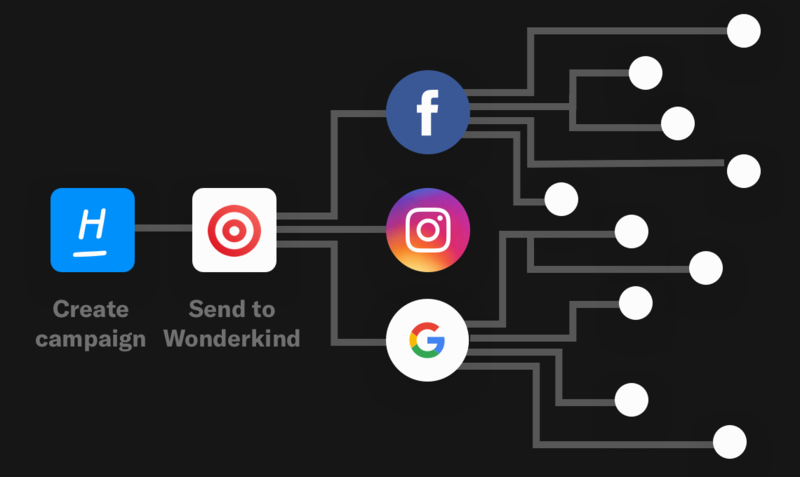 By using artificial intelligence Wonderkind automatically optimises your campaign during a 3 to 4 week period, shifting budget to channels that perform well. Setting up an automated campaign is done in a few clicks and takes no technical expertise. All you have to do is define your audience, customise and check your budget. And thanks to advanced algorithms, you can see the expected outcome of your social ad campaign before you even launch it. 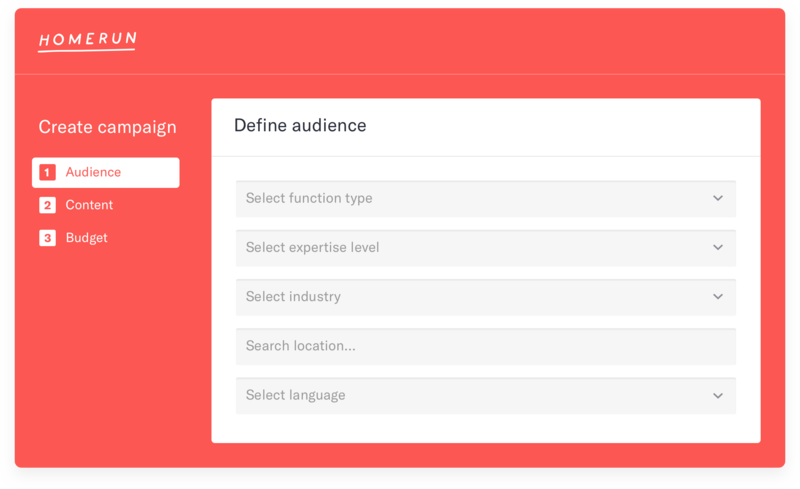 Define your campaign audience based on different parameters. Images and text are suggested, but fully customisable. 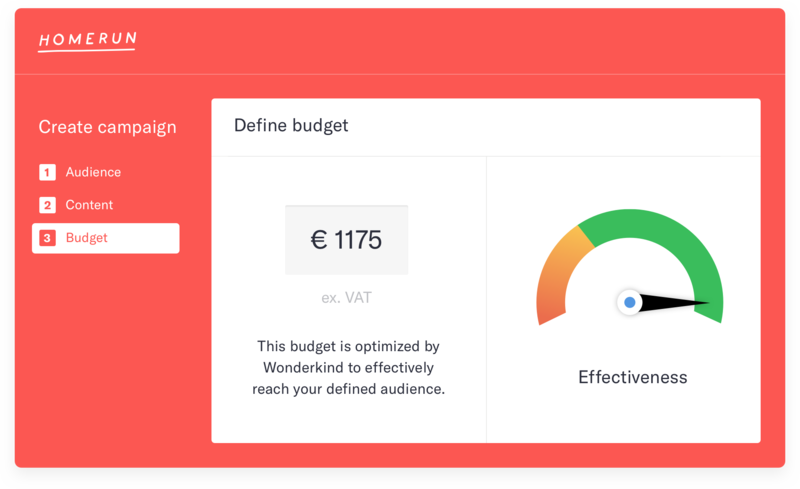 Algorithms suggest the best budget to reach your audience. 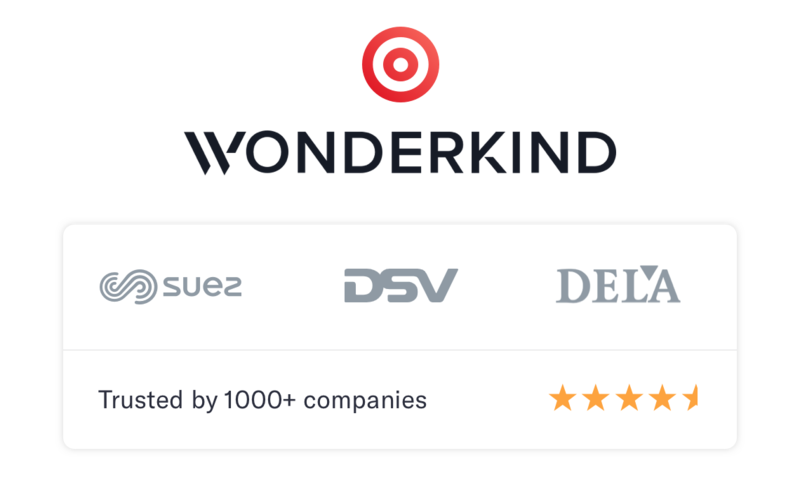 Trusted by 1000+ companies, Wonderkind is the leading programmatic job advertising platform. Learn more or watch this video. 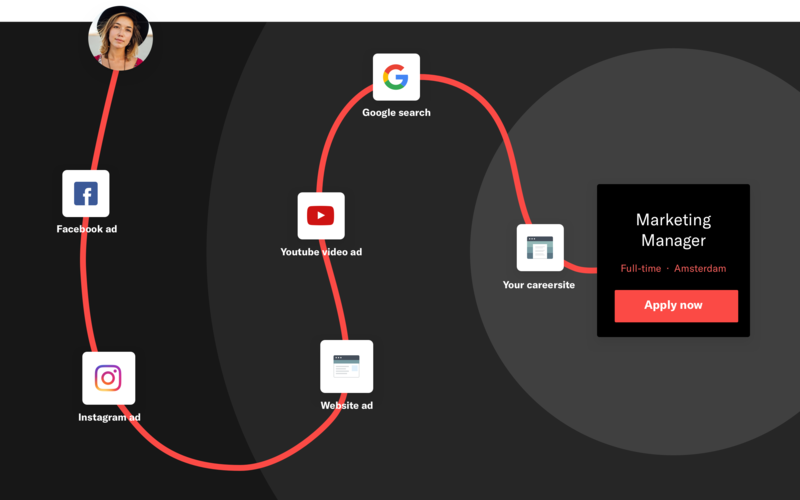 Have more questions about anything Social Ad Campaign related? Have a look at our Frequently Asked Questions.